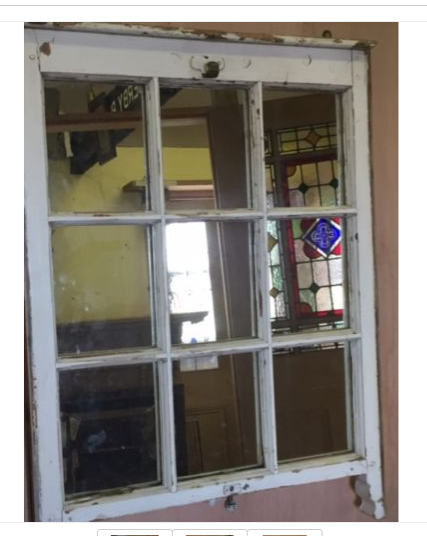 Very Heavy Old HOTEL London Door – Full of Character in need of refurbishment which we can do for an additional fee – or you can buy as seen. 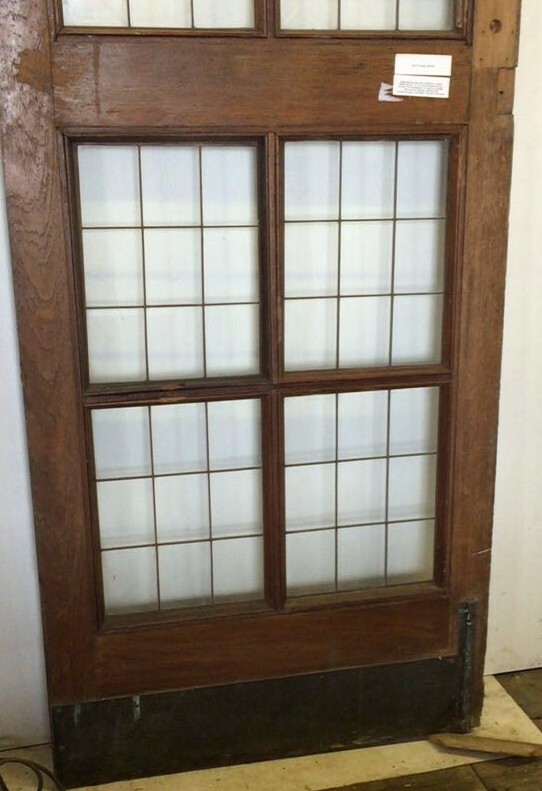 This is a true vintage reclaimed door. Victorian Oak Chairs - all in need of minor TLC but which will most certainly increase the beauty and value if restored lovingly. A wonderful project for someone with the right inclination. Beautiful set here. These chairs once restored are selling for great money. Original opening catch left in place as a useful catch for keys. Collection welcome and viewing welcome, if this product shows as out of stock, please ask us about remaking another to order, anything is possible! 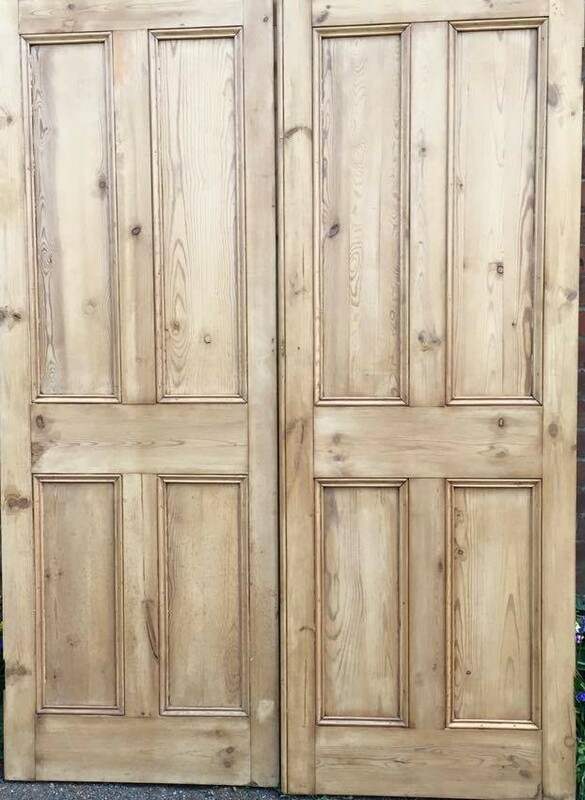 Solid and made from reclaimed pine - you simply will not find a door of this make and quality manufactured in the high street. 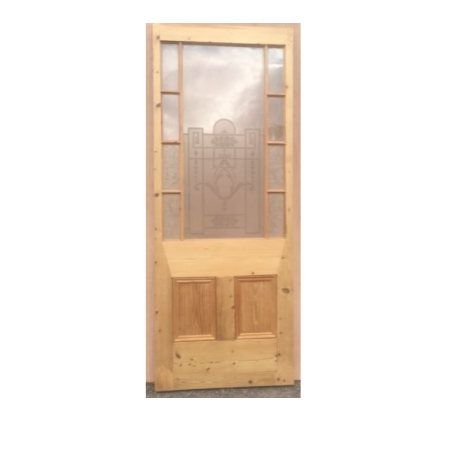 The Centre Panel is Clear Laminated Safety Glass and around the edge we have clear Gothic Safety Glass and in the corners we have the amber Gothic safety glass the glass - Conforms to all building Reg Requirements. 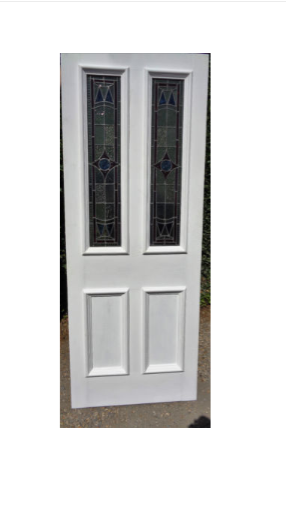 External door and has large bollection bead around the bottom panels to keep the weather out. The out side has been primed ready for a top coat . 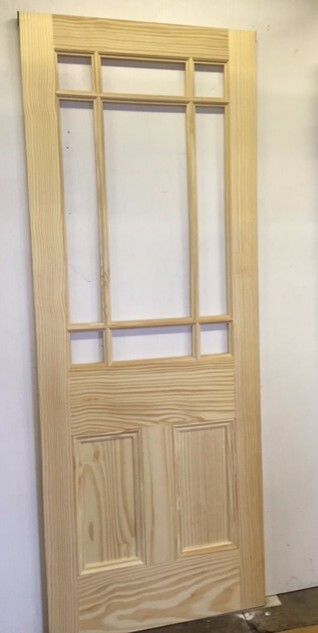 This door has been completely made by our skilled craftsmen in our workshops - from reclaimed pine and is fully mortise and tenon. The glass is of a old design and made using tradition methods here in our studio. 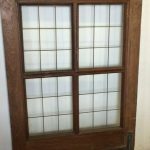 The door has a large bollection bead around the glass and the bottom panels . The outer side has been primed ready to take a top coat and the inside is waxed in p7 medium brown briwax - so internally you have the warmth you desire. Letterboxes supplied and fitted for an additional fee. 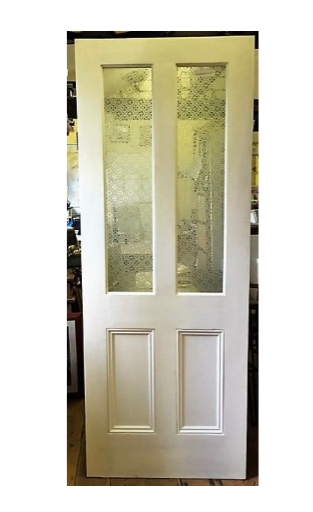 You cannot find this type of door on the high street or mass manufactured. Stained glass windows, truly bespoke. 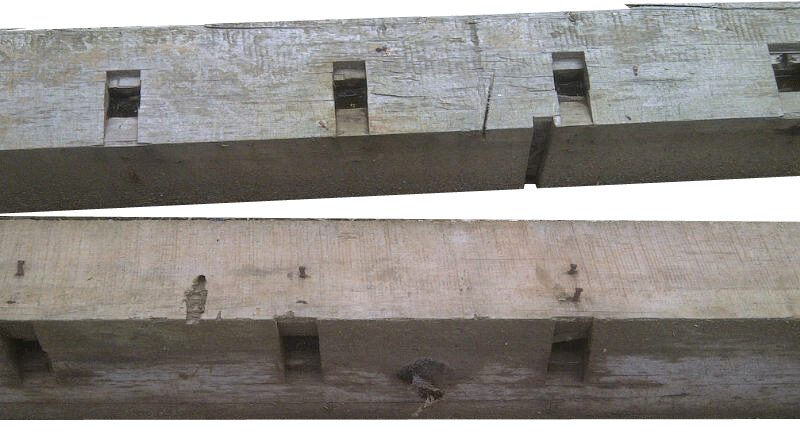 48 ½" x 88 ¾", 55mm thickness. 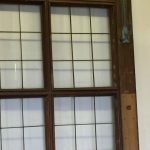 Each opening window dimension 18 ¼" x 48 ¾"
THE GLASS IS GONE AND ALL THE OLD PUTTY HAS BEEN CLEANED OUT READY TO TAKE THE NEW GLASS WE CAN FIT STAINED GLASS/CLEAR/FROSTED IF REQUIRED. WE HAVE A STAINED GLASS STUDIO HERE. 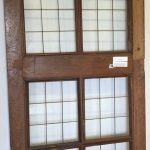 THE LETTER BOX IS PLUGGED READY FOR THE NEW ONE TO BE CUT INTO THE DOOR WE CAN DO THIS BUT YOU NEED TO SUPPLY THE LETTER BOX OR WE CAN SUPPLY AT AN EXTRA COST . 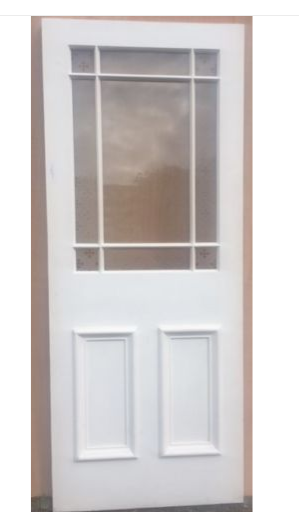 THE DOOR HAS RAISED PANELS ON THE FRONT AND FLAT PANELS ON THE BACK. The door has been primer sealed with Zinsser to rid all stains from relcaimed wood. 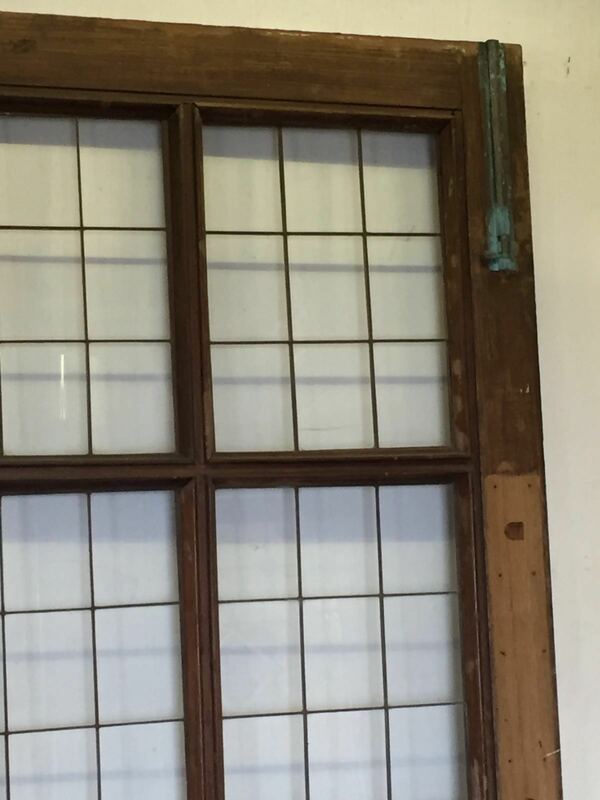 The interior of the door has been sanded and waxed 35 ¾ " x 84 ", 45mm thickness. 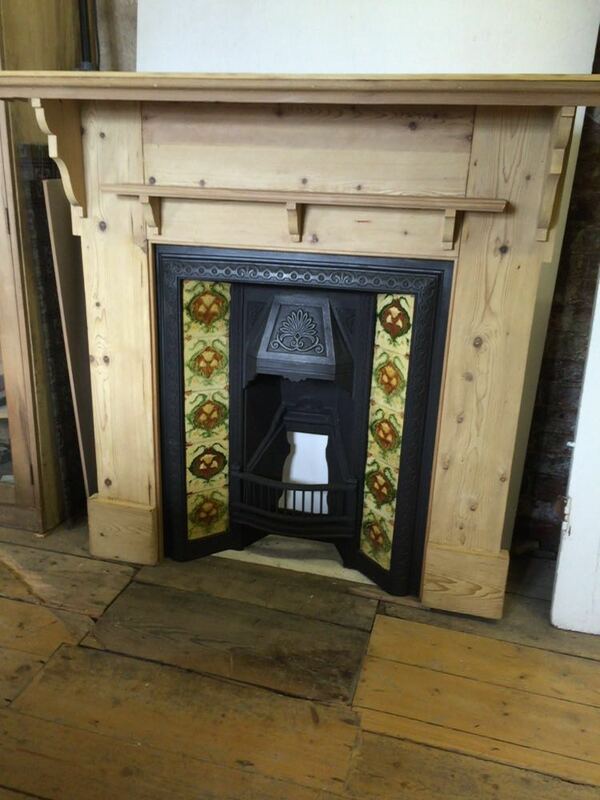 Beautifully crafted in our workshops by master craftsmen and made bespoke. 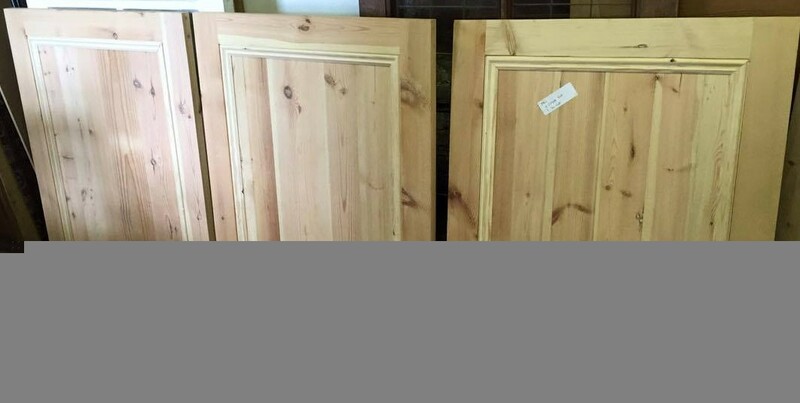 These are one off cupboard doors and made solid sturdy.. 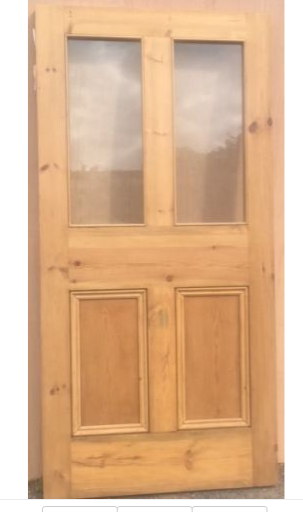 These are not like doors found on the high street. 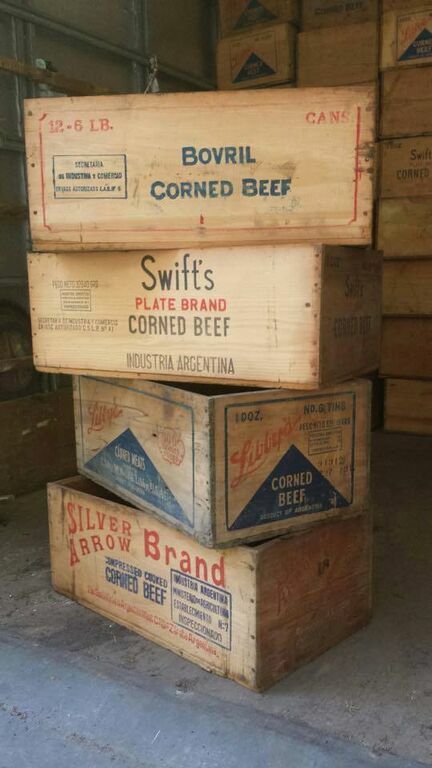 Full of quality and charm. They can be waxed for an additional fee. 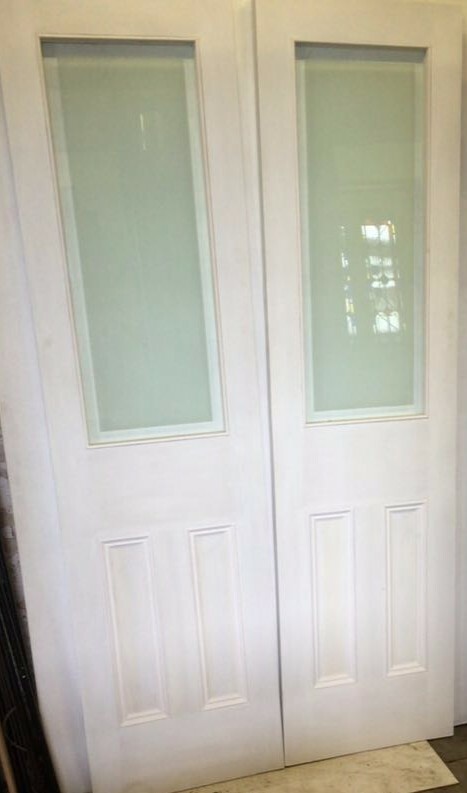 This door has been sanded and waxed. Restored original stain glass in blue and green with opaque center panels, and red detail.